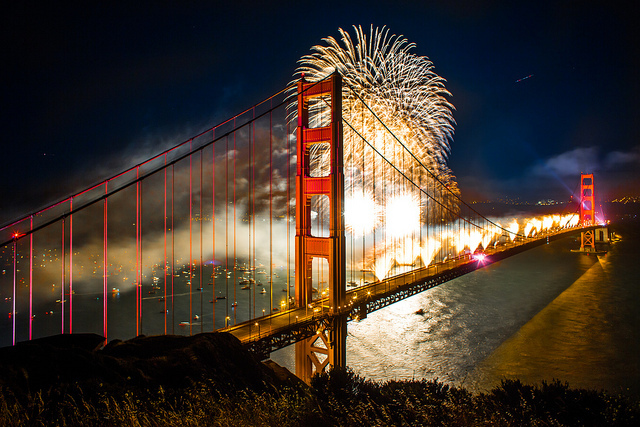 When it comes to spectacular fireworks displays in the San Francisco Bay Area, Pyro Spectaculars by Souza is the only name you need to know. We produce shows for massive community events and celebrations—as well as smaller private functions—always with the same commitment to excitement and professionalism. 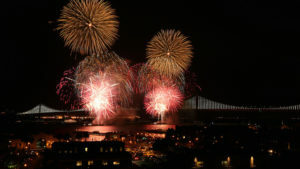 San Francisco is where the Souza family started their pyrotechnic journey; the family patriarch Manuel starting producing shows here for community festivals in the early 1900s. 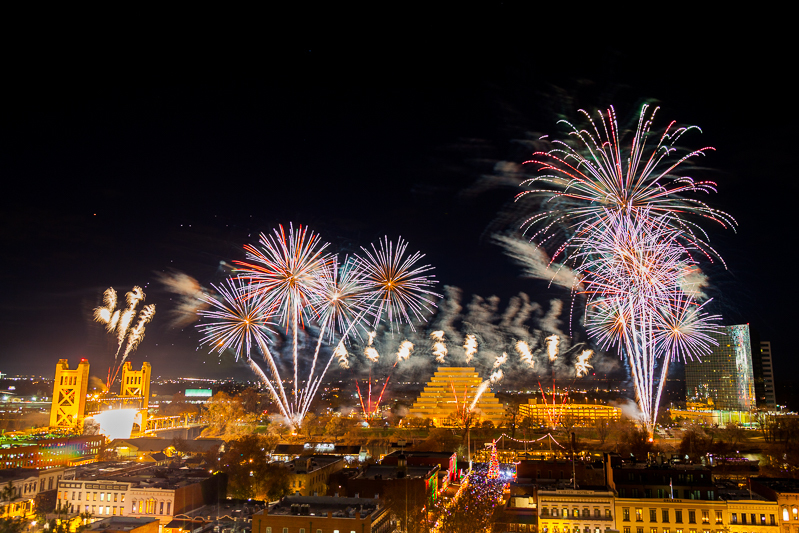 Today, we proudly carry on his tradition, producing the best and brightest fireworks displays for the area’s most important occasions. Our commitment to the community goes beyond entertainment. We also work closely with local fire departments to enhance their training programs and offer the Northern California Operator and Fire Service training seminars, teaching the next generation of pyrotechnic and fireworks operators. 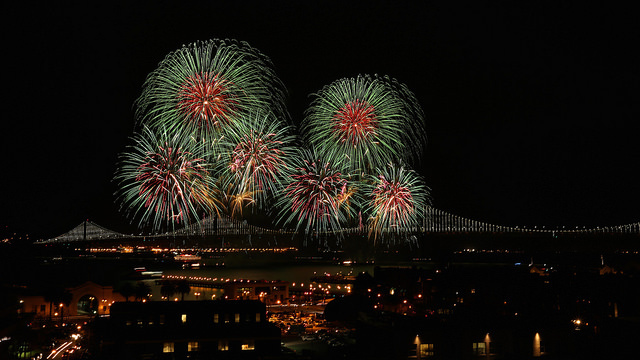 4th of July fireworks for the cities of Sausalito, Berkeley, Redwood City, and San Jose to name just a few. It’s never too early to start planning for your event. Permits, unique locations, and larger displays may take a bit longer to plan. If you’ve got a show in mind, please call Jeff Thomas at 510-397-2055 today. 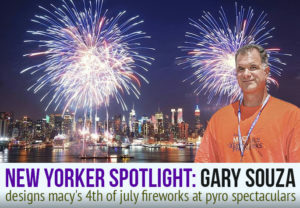 Jeff has been working in the fireworks industry since the early 1960s and has been a full-time show producer for Pyro Spectaculars by Souza since 1990. He earned his outdoor public display operator’s license in 1974 and his indoor/close proximity theatrical license in 1993. During his time with Pyro Spectaculars, Jeff has successfully produced and managed over 3,000 shows in Northern California. Suffice it to say, he is one of the most experienced professional pyrotechnicians in the industry. 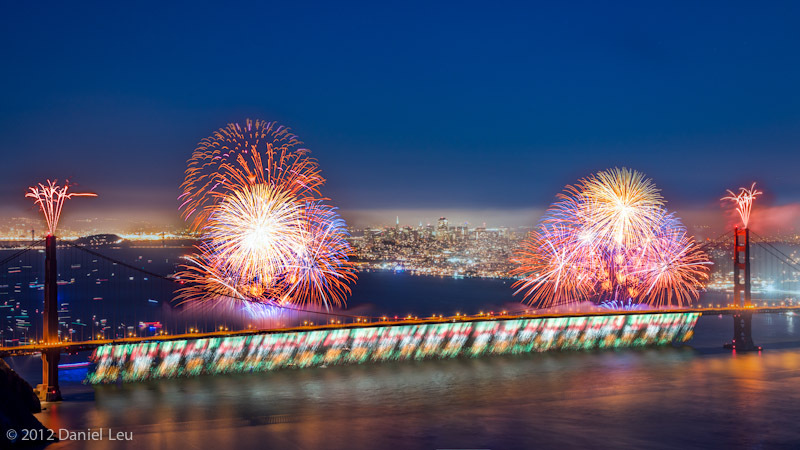 Aside from producing incredible fireworks displays at all of the Bay Area’s major venues, Jeff is also committed to safety and training programs. He has worked closely with many of the region’s fire departments to improve their internal training programs and is integral to the Northern California Operator and Fire Service training seminars. If you’re looking for an experienced fireworks professional in the San Francisco Bay area, Jeff Thomas is the man you’re looking for. Countdown to Gold! Highlights from Super Bowl 50 Kickoff!